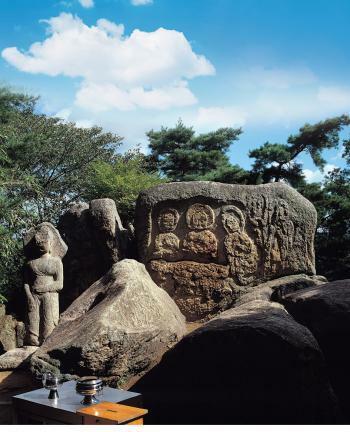 이 일대는 통일신라시대에 신인사라는 절이 있었던 곳이다. 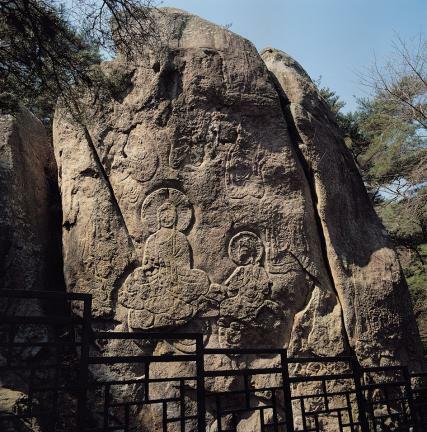 남쪽의 큰 바위에는 목조건물의 흔적이 남아 있으며, 석탑조각들이 흩어져 있는 것으로 보아 남쪽면의 불상을 주존으로 하여 남향사찰을 경영했었음을 알 수 있다. 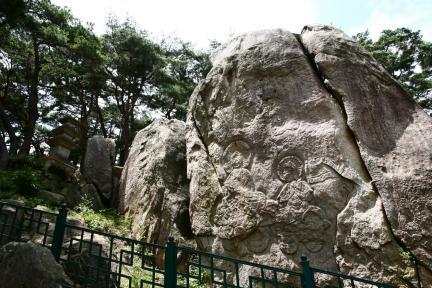 9m나 되는 사각형의 커다란 바위에 여러 불상을 회화적으로 묘사하였다. 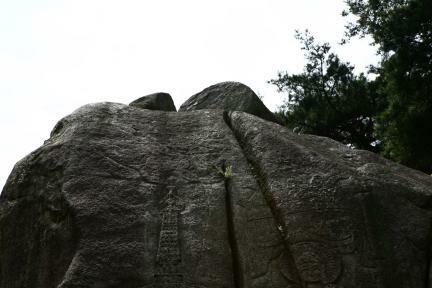 남쪽 바위면에는 삼존과 독립된 보살상이 배치되어 있고, 동쪽 바위면에도 불상과 보살, 승려, 그리고 비천상(飛天像)을 표현해 놓았다. 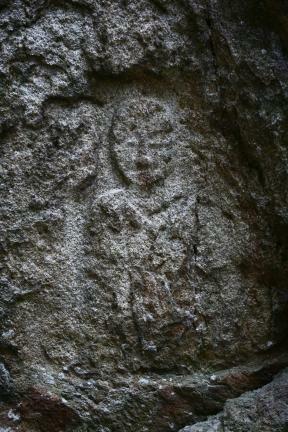 불상·보살상 등은 모두 연꽃무늬를 조각한 대좌(臺座)와, 몸 전체에서 나오는 빛을 형상화 한 광배(光背)를 갖추었으며 자세와 표정이 각기 다르다. 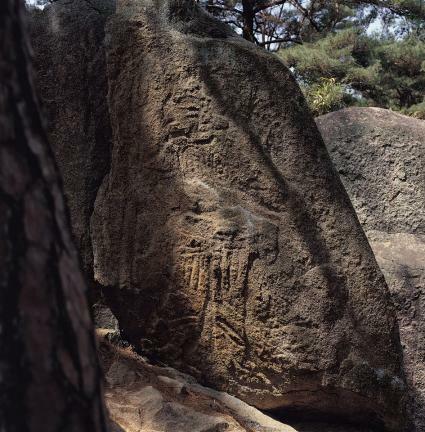 비천상은 하늘을 날고 승려는 불상과 보살에게 공양하는 자세이지만 모두 마멸이 심해 자세한 조각수법은 알 수 없다. 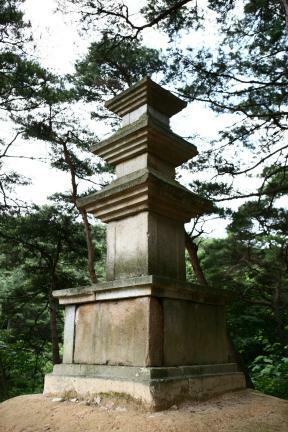 서쪽 바위면에는 석가가 그 아래에 앉아서 도를 깨쳤다는 나무인 보리수 2그루와 여래상이 있다. 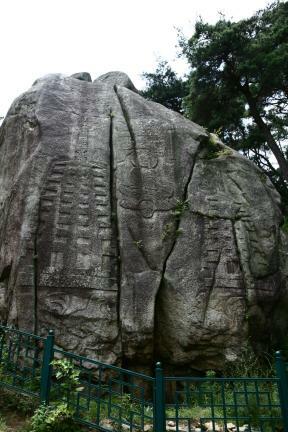 하나의 바위면에 불상·비천·보살·승려·탑 등 다양한 모습들을 정성을 다하여 조각하였음은 장인의 머리속에 불교의 세계를 그리려는 뜻이 역력했었음을 알 수 있게 해준다. 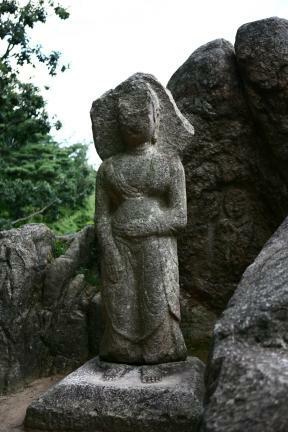 조각양식은 많이 도식화되었으나 화려한 조각을 회화적으로 배치하여 보여주는 것은 우리나라에서 특이한 것이다. 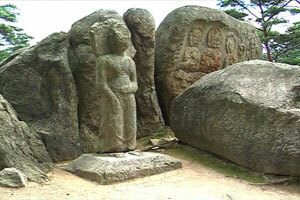 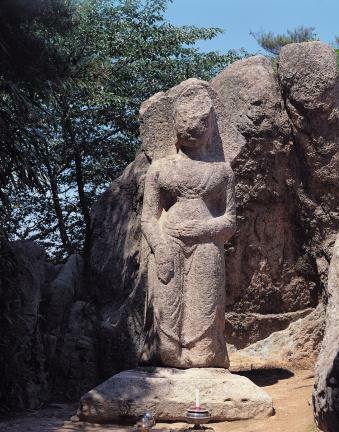 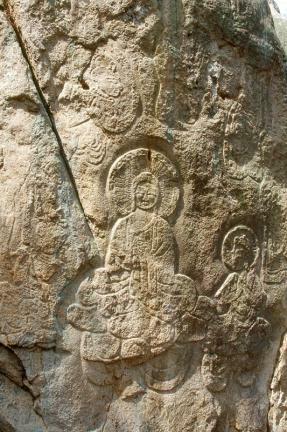 A number of Buddhas, located at the former site of Sininsa Temple, which was founded during the Unified Silla Dynasty, are carved on a large square rock standing 9m tall. 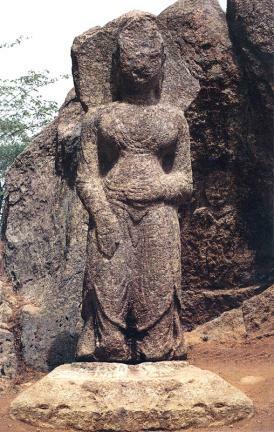 Judging from the fact that pieces of a stone pagoda have been found scattered around the site, and traces of a wooden building remain around a large rock to the south of the site, the Buddha statue in the south is thought to have been the principal statue of a south-facing temple that once stood here. 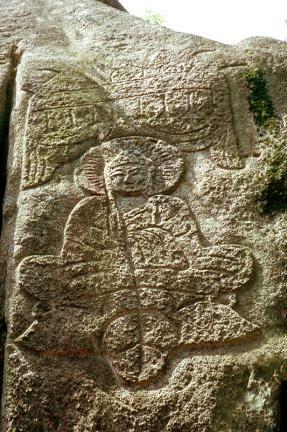 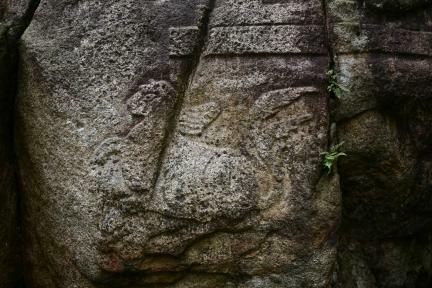 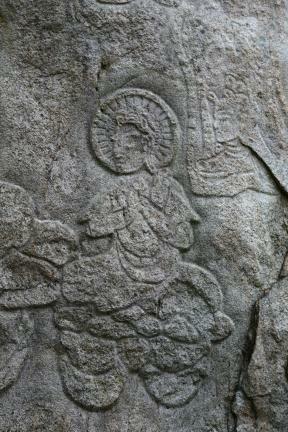 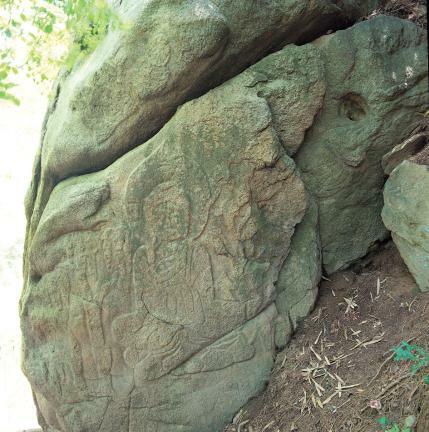 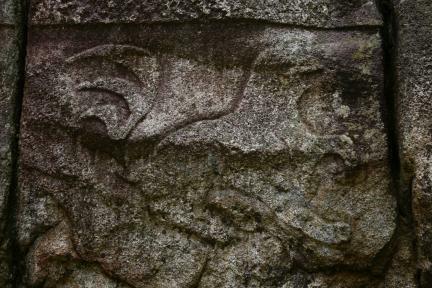 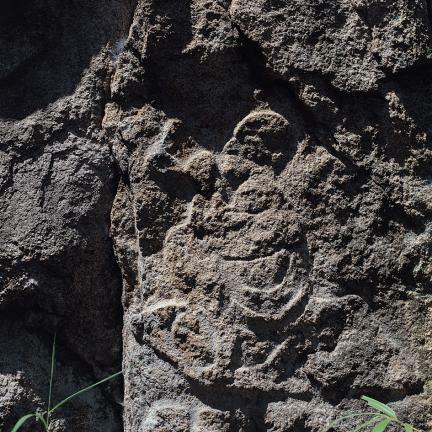 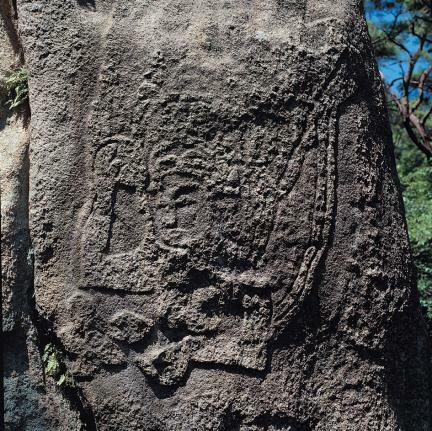 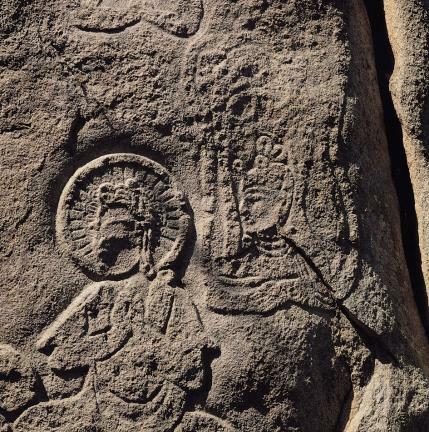 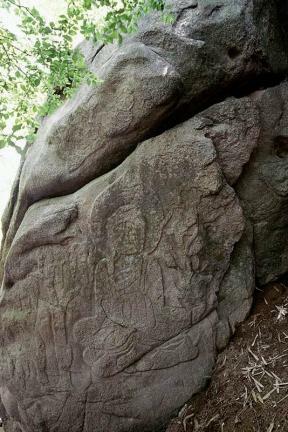 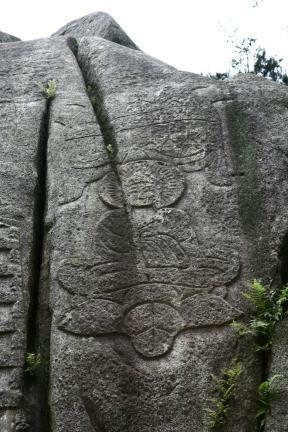 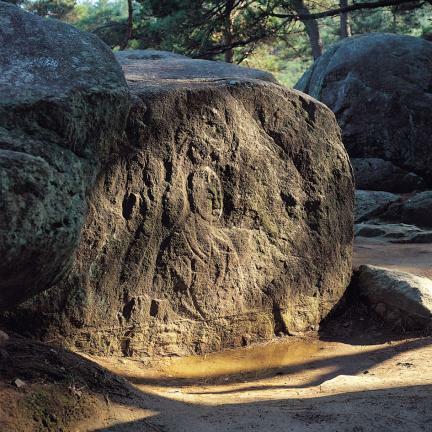 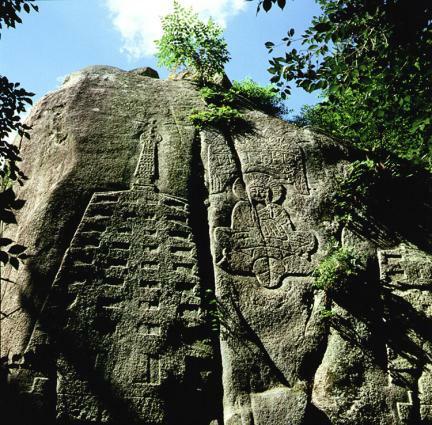 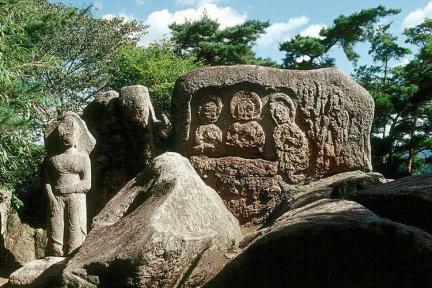 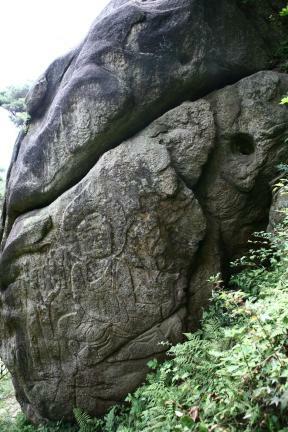 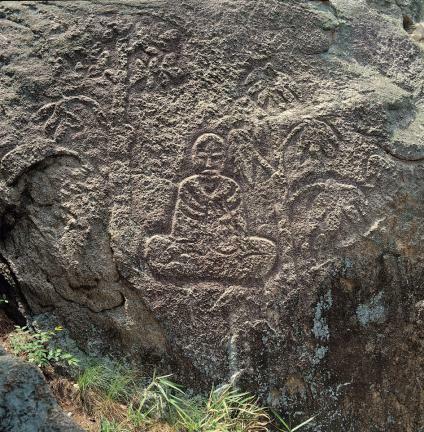 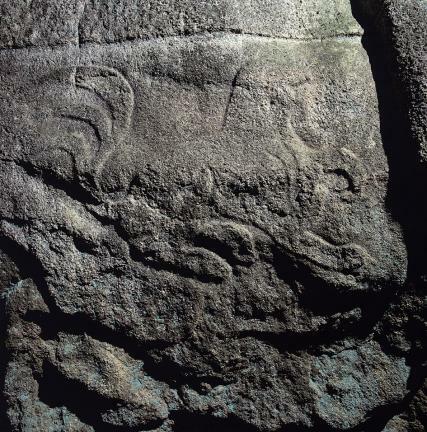 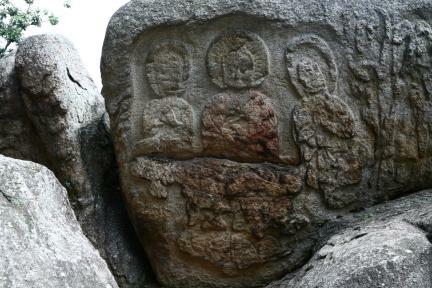 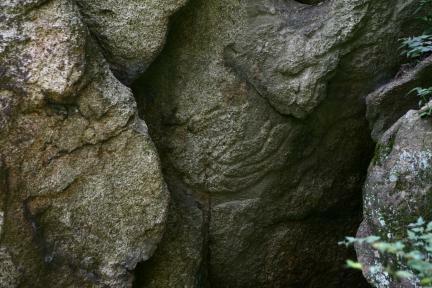 The Buddha triad and a separate Bodhisattva statue are carved on the southern face of the rock, while images of a Buddha, Bodhisattvas, monks, and flying fairy are carved on the eastern face of the rock. 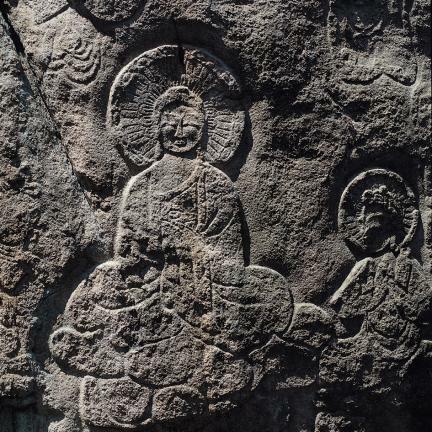 The Buddha and Bodhisattvas are all depicted sitting on pedestals engraved with lotus flowers, and have a mandorla (Buddhist halos of light), which gives shape to the light radiating from his entire body. 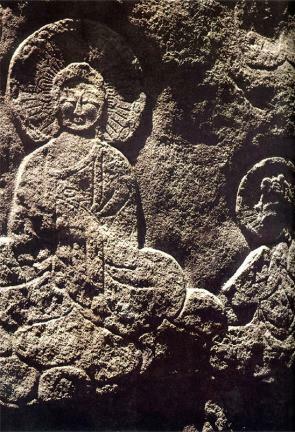 However, their postures and expressions are all different; the fairy is flying while the monks are making an offering to the Buddha and Bodhisattva. 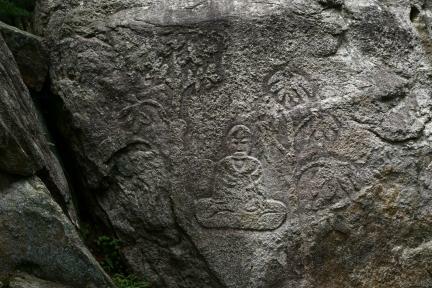 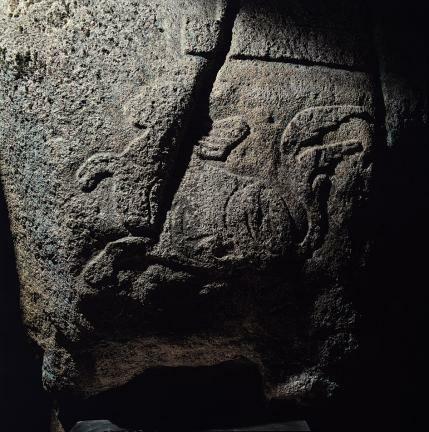 All are severely defaced, leaving the precise nature of the carving techniques unclear. 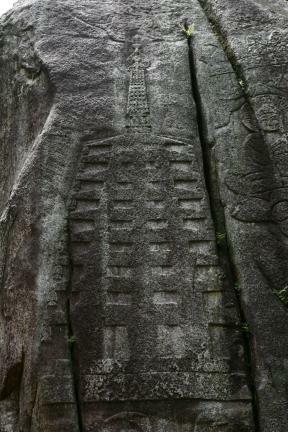 There are two representations of the banyan tree under which Buddha was sitting when he realized the eternal truths, and there is a Buddha statue on the western face of the rock. 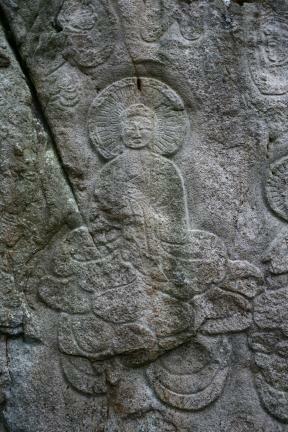 The elaborate carvings of Buddha statues, flying fairies, Bodhisattvas, monks, pagoda, etc. 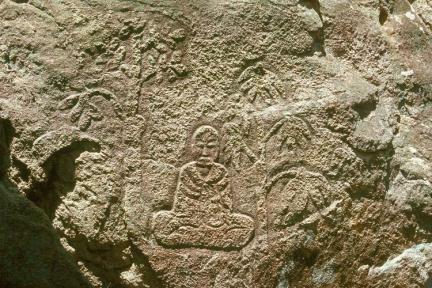 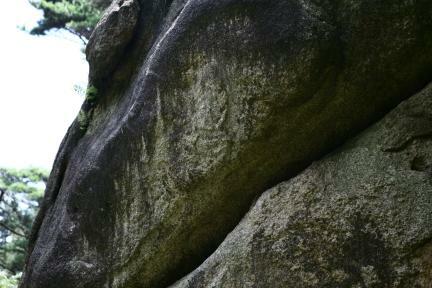 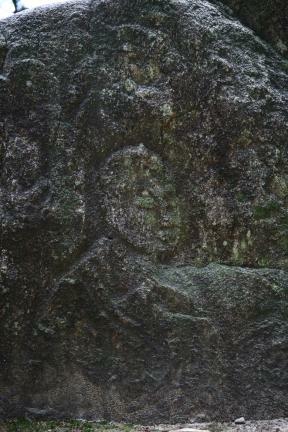 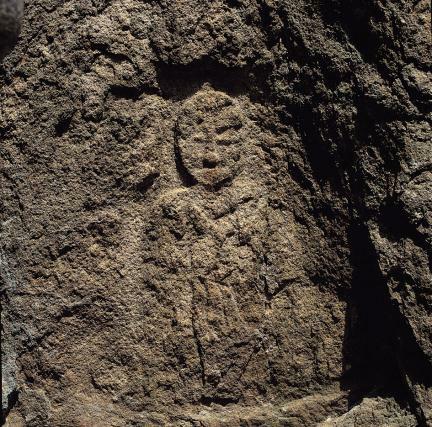 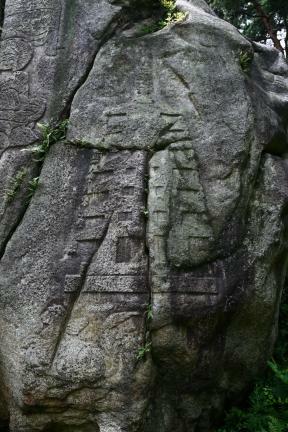 on one face of the rock suggest that the carver was trying to create a full representation of the Buddhist world. 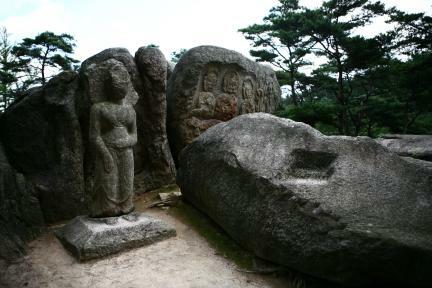 The method of carving is formal, but its picturesque quality is unique in Korea.